A payment processing fee of 1.95% applies to all purchases made by credit or debit card and is included in the price that appears on the Ticketek website. A payment processing fee does not apply for purchases made through Ticketek agents or outlets when using cash, or when redeeming a Ticketek Gift Voucher. A Service/Delivery fee may also apply. Child: 3-16 years as 1 January 2015. Concession: full-time secondary and tertiary students, Pensioners, Veterans Affairs, TPI and Health Care Card holders. 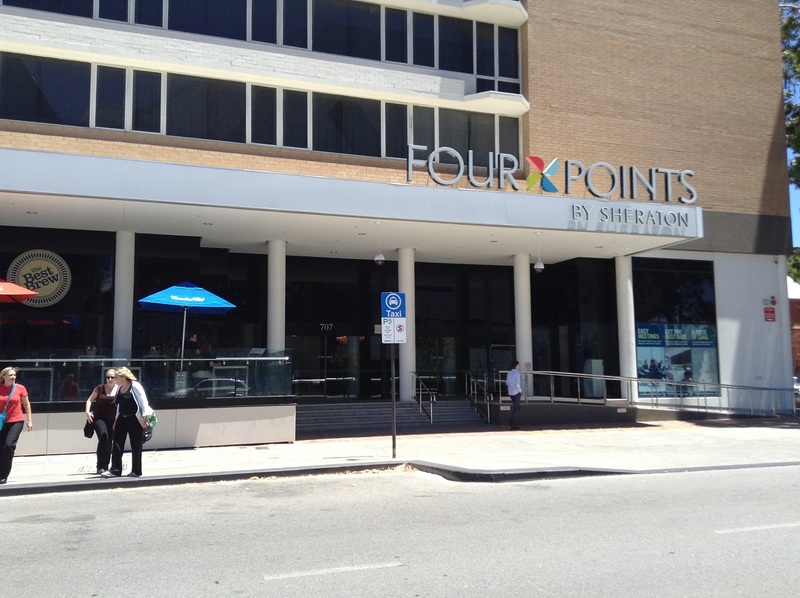 Groups: Book Groups – 10 or more tickets purchased in one transaction and Save! 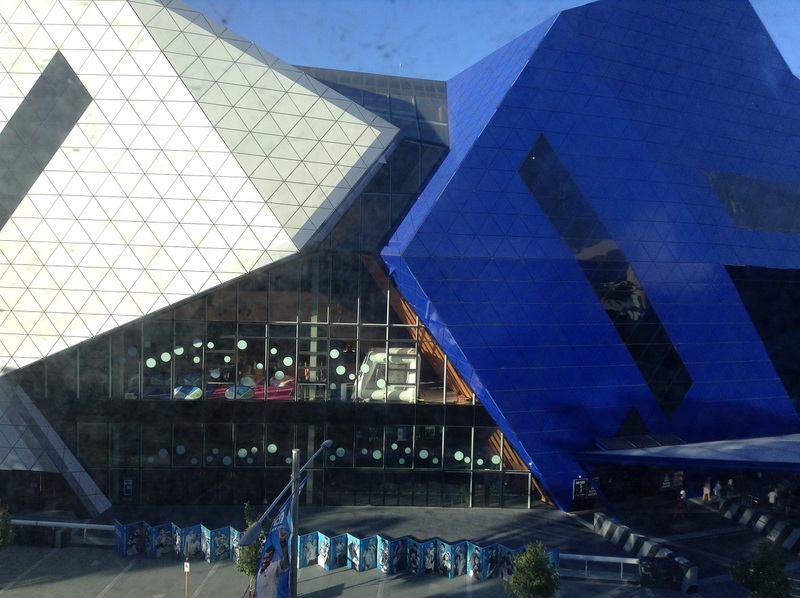 Call Ticketek Groups on 1300 364 001. Family: (Multiples of 4 ) = 2 Adults + 2 Children/1 Adult + 3 Children. 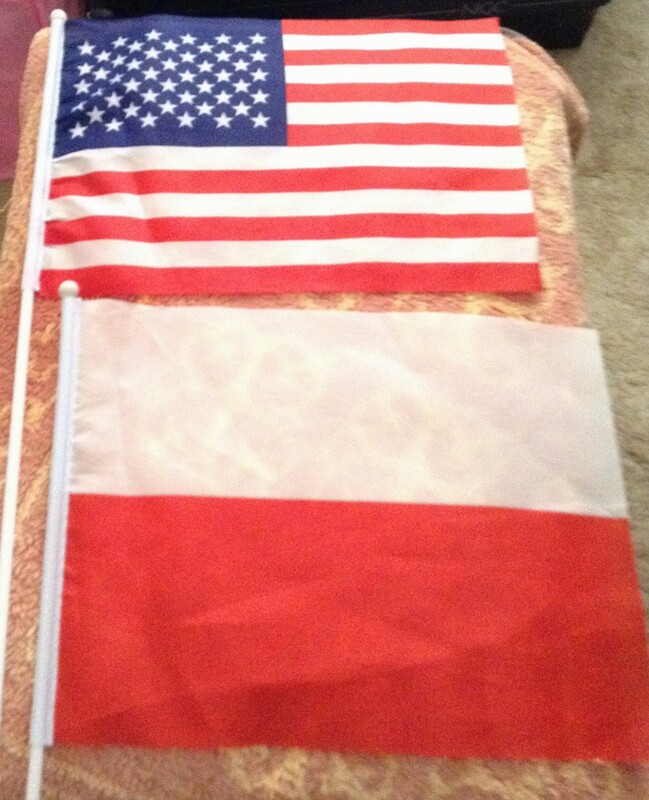 This year’s Final battle was between POLAND and the USA. 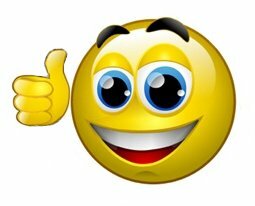 In a thrilling “tie”, Agnieska Radwanska and Jerzy Janowicz from Poland came out “trumps”. 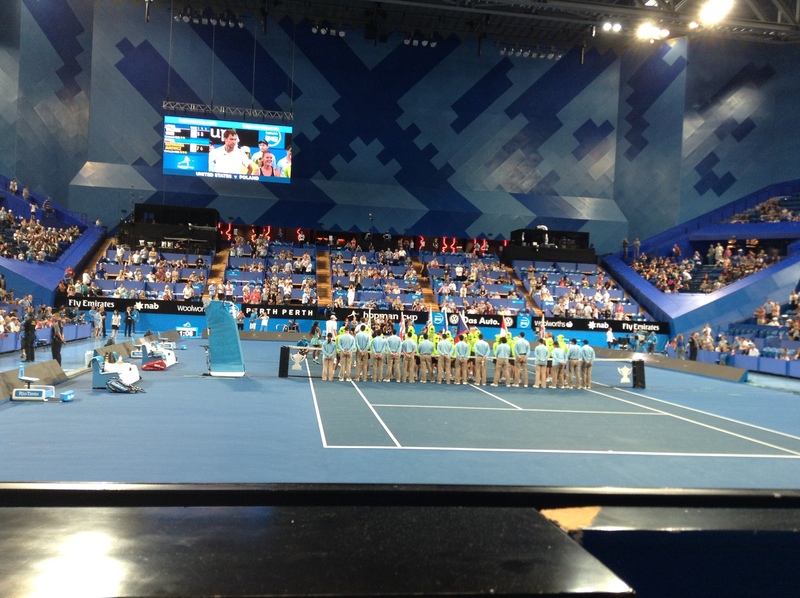 Agnieska beat Serena Williams in their Singles final, John Isner from the U.S.A. beat Jerzy, and then …. 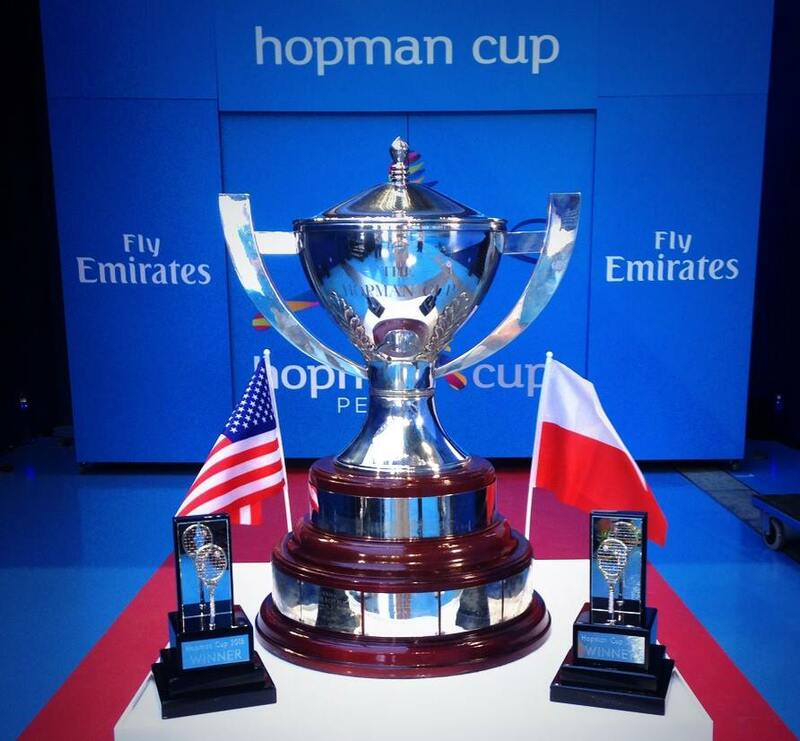 Poland came out the deserved Cup and title winners by winning the Mixed Doubles! Above is a photo I took of the team from Poland at their Cup & trophy presentation. If you are wondering how the Finalists got there, the results below may help. There were no outright winners in either Group A or Group B, i.e. 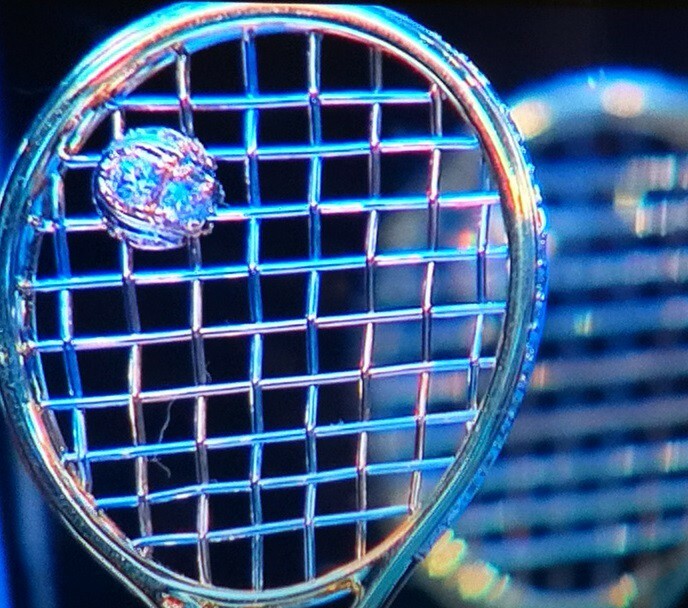 no team / country won all 3 of their “ties” ( a tie being a set of 3 matches – women’s / men’s / mixed doubles ). In this case the number of matches won by each of the teams in a Group, that won the same number of Ties, are then looked at. As the U.S.A. altogether won 7 matches, which is more than the number of Matches that the other 3 teams in Group A won, they went through to the Final. As a reminder, a Match can consist of either 2 Sets or 3 Sets. A match consists of 2 sets only, IF one team wins both the first two sets, OR consists of 3 sets if each team wins one set each, and thus a 3rd Set is played to decide who wins two Sets, and thus wins the Match. Each team in a Group plays the other 3 teams, i.e. 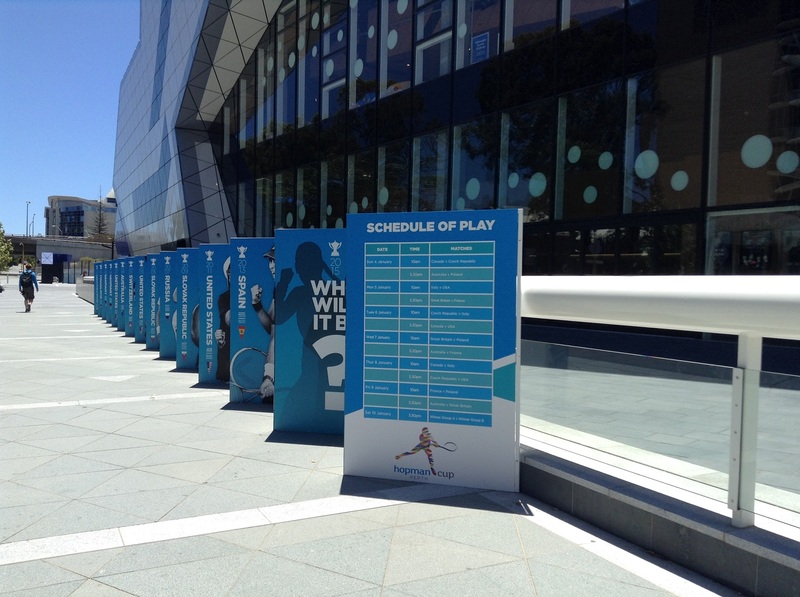 each Team plays 3 “ties” or 3 lots of 3 matches – women’s single, men’s single & the mixed doubles, a total of 9 Matches. Now, in Group B, both Poland & Great Britain won 6 matches each. So next, the Sets statistic is looked at, i.e. the percentage of Sets won overall. GB won 12 Sets from a total of 19, giving 63% won of the sets they played: and Poland won 14 Sets from a total of 21, giving 66% won of the sets they played – so Poland was the Group B Winner! If the percentage of Sets won was equal, then one would look at the percentage of Games won, and if that amazingly was the same – other actions would be taken to determine the winner. Please see GrandSlam Gal’s post for information. If you watch the Yahoo full replay of the Mixed Doubles, at the Link below, you will see at the end when Agnieska is holding her trophy sideways while giving her acceptance / thank you speech, that the Racquet is swinging a little. This demonstrates that the racquet is held in place by a metal band and can swing. 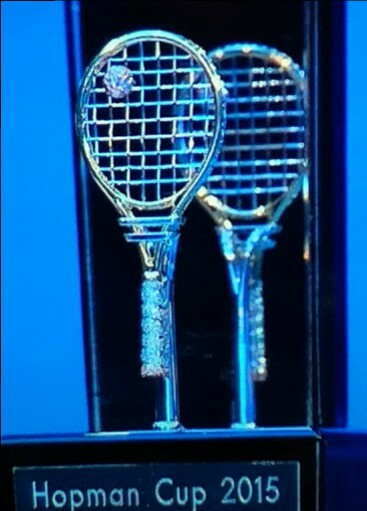 The diamond studded Racquet is not in its own display case, but is on a base and against a mirrored back stand. 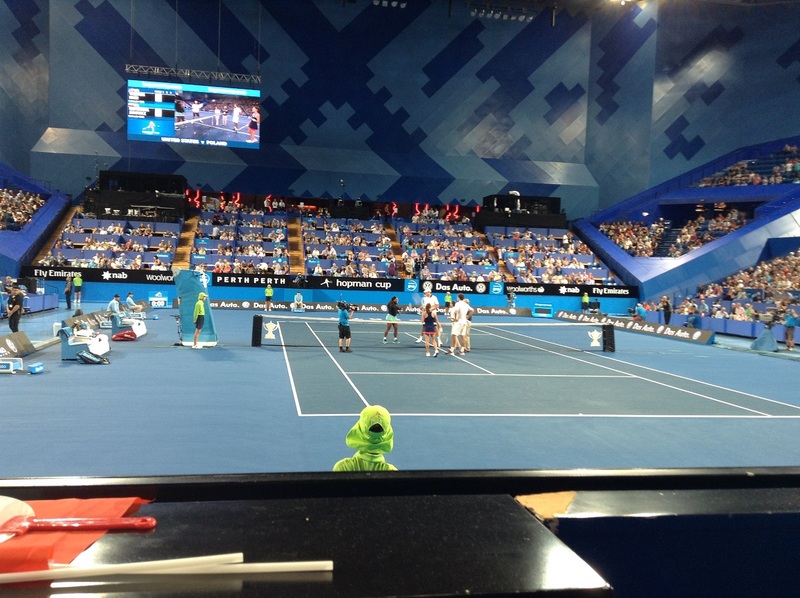 You will also hear the reason for play being stopped for over 3 minutes during the second set when the U.S.A. was down a game – the score was 2 – 1 – and although I was there, the audience, including me, couldn’t hear what the Chair Umpire & the players were saying. I only found out by watching the Replay. Jerzy stopped playing during a point, distracting Serena who didn’t know what was going on and the Umpire called for a replay, but then spoke to the Polish team & changed her mind. An argument ensued and the ITF referee had to come out and adjudicate! 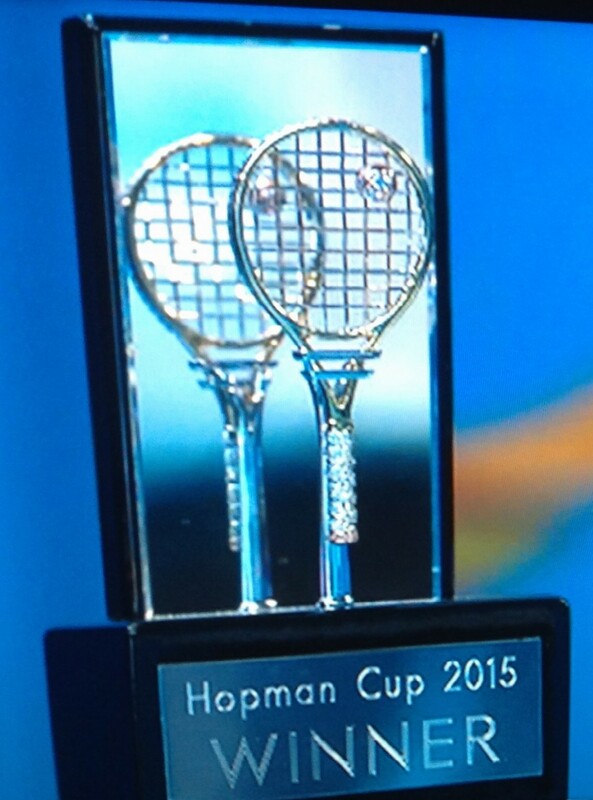 The photo below of the actual perpetual Hopman Cup ( which players get to hold but not to keep, & their names are engraved on the cup’s plaque ) with the individual trophies, also shows the racquets are more or less free standing and not enclosed. If you are interested in how the prize money is allocated, please see THIS post & if you can work it out, make a Comment here!! 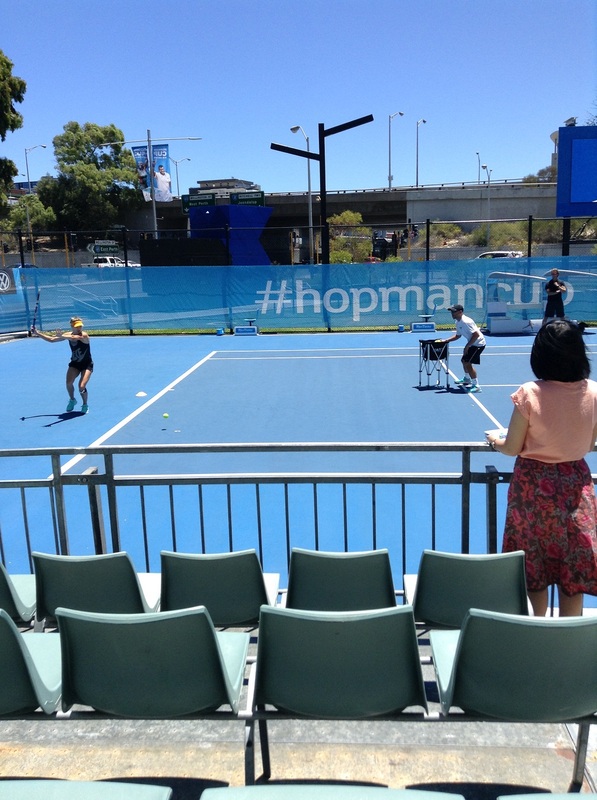 For more of my posts about the Hopman Cup, click on the Links below.